Info. 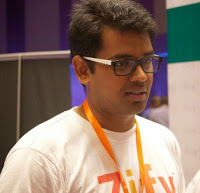 : Pritesh gupta is Co-founder at ZipGo. 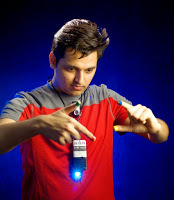 B.Tech in Electrical Engineering from IIT Karagpur. 1. What is Zipgo ? ZipGo is a tech based bus aggregation platform, and allows users to book guaranteed seats in clean AC buses at affordable rates. The concept of ZipGo came to our mind because in India, public transportation experience is broken. When you see private companies that are solving on-ground transportation i.e. Uber, Ola etc they have solved the commute problem in the taxi space and to some extent the autoricks. But if you see a regular commuter, he/she may or may not be able to still afford the taxi fares. So be it the metro or tier 2 cities a lot of people still want to have a preferred mode of transport which is cheaper as compared to the taxi and equally convenient in terms of cleanliness, on-time etc. The taxi players do few a lakh rides a day, but the number of people traveling in a day is a lot more than that and they’re traveling using the public transport currently offered by the state transport corporations. However the experience is still broken and this doesn’t motivate the masses to use buses as a preferred mode of transport. The daily commuters experience many issues like the timing of the vehicle arrival, is it air conditioned or not, will there be seat available etc. And even though if people are willing to pay for a better service, such services are not available. 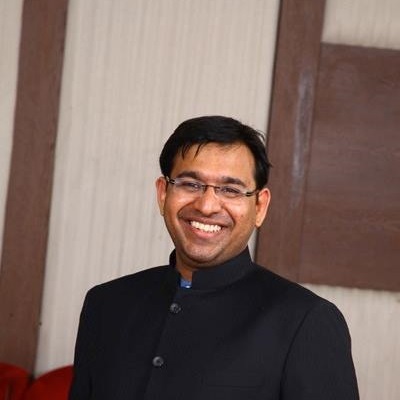 This led to the birth of ZipGo – solving transportation problem of the mass commuters of India. 2. How did it start ? Why started with bangalore ? I have known my cofounders Jitender & Gaurav since my days at Ola. We all felt the need to solve the problem of mass transportation for India and we decided to come together to make it happen. 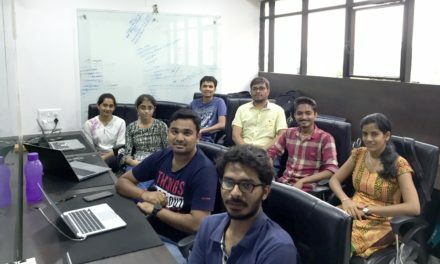 We started in Bangalore because the market is huge in terms of smartphone users, tech savvy people and people who are very keen to use public transport. Bangalore has huge traffic problems and has no efficient mode of transport system like the locals in Mumbai and the metro in Delhi which people use daily. Some people use rickshaw, some taxi etc and many still don’t have a smart and efficient way to commute. There is enough demand and currently a reliable system does not exist, and to bridge this supply-demand gap we started our operations out of Bangalore. 3. What are the roadblocks you faced when you started zipgo ? The most difficult part is to get the right talent in a startup. 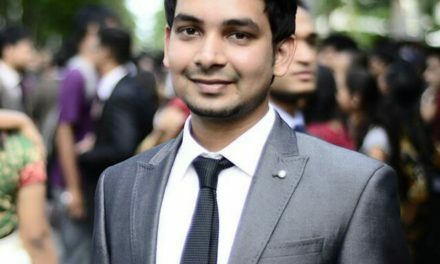 So a lot of people are interested in working with startups, but at the time of staring up you are looking for people who will build the culture of the company and take it to the next level – therefore its very important to have the foundation very strong in terms of getting the right team members. Equally important is to understand what our customers wanted – which was an assured and genuine service i.e. the bus should reach on time, the driver and bus should be good and everyone should get a guaranteed seat and all of these services should be present daily. So the key was to get customers to trust which meant that the first few hundreds of our customers should get a really great service. To solve it we had to build our product both from driver and customer side – whether be the driver management system to make drivers work efficiently, route planning and scheduling, backend systems etc. 4. Can you describe a journey from the point of driver getting on the bus and the bus reaching at the destination ? To make a booking the customers have to put their start and end destination and this gives a list of buses that are running on that route and estimated time of arrival at the nearest pickup point. After you select the bus which you want to board it shows you the walk distance, how much time it’ll take for him to reach the stop and how much time the bus will take to reach that stop. There will be a guaranteed seat for all the booked passengers and each one will be given a unique ID. The passenger needs to board the bus only from the pickup stop selected. On the previous day of any journey the driver gets the details about the trip that he needs to do and the timing, based on that he needs mark the attendance that he will be available or not. On the day of the trip unless the driver starts the bus, there will be no communication between the consumer and the bus. After starting the bus the driver will switch on the device and start the trip, and only then all the customers can start tracking the bus. Now the customers can see the current location of the bus and find out after how much time will the bus reach their pickup point. The customers will also get notifications on when the bus is two stop or just one stop away from their pickup. Its advised that everyone has get to the pickup stop 10 minutes before the arrival of bus because the bus won’t stop for them and will be picking up the customer and moving on, so that the other passengers are not held up in the waiting nor is the bus delayed in schedule. The route logic is designed in a way to reach the destination in the shortest time and give the passengers a seamless journey. The bus mainly covers main roads and points which is known/popular and everyone can reach easily-keeping in mind such that the users walk time to the pickup stop, wait time for the bus and reaching the destination should be minimum. The photo of the stops is shown in the app for the customer to stand at the exact stop. Now when the bus reaches the stop all the passengers need to board using the ID which they get after booking, and the bus driver uses his app to update the status of the passengers boarding the bus. At the backend our system updates the seats available and which customers boarded the bus. This continues till the bus reaches the destination. 5. What kind of technology or tools zipgo uses ? Basically we’re using Maps Api, a booking engine, there’s an app on the drivers side which helps driver in navigation and shares the details of passengers in the trip. Other than that there’s CRM and analytics for devising shortest path. Have build scheduling system to allocate buses for different trips. The points for pickups and routes are initially created based on crowd sourced data. 6. What cities is zipgo setup completely and where are you planning to expand ? Will you start intercity buses ? The cities currently operational are Bangalore, Delhi, Gurgaon, Mumbai and Jaipur. Other options are not currently live, because before we go on to cities we want know the response from users, so we have voting of routes currently open to understand the stops and routes people are wanting us to start. So even before we start our service in a particular city we have user data on what routes to plan, what kind of buses they want, the timings to give as a headstart. Currently, we have a variety in buses- from a 12 seater tempo traveler to a 45 seater volvo. We’re trying to solve the problem for mass commuters. For intercity we’re not currently planning anything. 7. What do startups stand for you ? Is it the problem solving, or as people say quick money making business ? Everyone has a different reason for why they want to startup. Though what important for me is if the money is the primary reason for starting a company, then i don’t agree with that. The primary reason for starting up should be to create an impact. The type of problem you’re solving, the solution delivered and how to deliver it i.e. the journey with the end goal to create an impact. So don’t chase money for startups because there are lots of ways to make money, rather if you want do something impactful, do something more enjoyable and learn while doing it with a outcome that’s when you’d startup. If your goal is to create something relevant then eventually you’ll make money, but that’s not possible, unless you solve a genuine problem- the money won’t flow or even if it does it would be short term. 8. What are the things that you’ve learned in the startups and the ones which overlapped ? Each startup has taught me something different. There’s no shortcut to building something and the only way you can solve problems is by working on it. The technicalities and specifics will be different with every business. Key goal for me has been to make a good business which would help the consumers, all the other stakeholders. To solve problems, one needs to learn the different aspects of the business by doing experiments and apply learnings to improve upon. Whatever you don’t know, you either learn or get the right talent to make it happen. Solving India specific problems like mass commute you won’t get a ready model which you can apply. .A startup with its constraints on capital and other resources should figure out smart solutions to problems by doing experiments, learn from mistakes and execute and repeat this process. Getting a proper team with a thought process to solve the problem, on how to keep customers engaged and yet build a business out of it is something you get from your previous experiences, but the execution is always the key. Managing a business especially tech business, if you don’t understand the tech part of it, it’s very difficult. Because I know that consumers want something and the tech guys know how to code, but then there’s a gap of what consumers really want and what the tech guys can build, and that gap can only be covered if I understand technology and the technology team understands business. If its there then, we can design a better product in least number of iterations. 9. As an engineer, what would you like to recommend, taking a corporate job or starting up ? When it comes to starting up its simple, there’s no right age or no right experience. But in my opinion, having a few years of experience definitely helps because people get a little mature and get an understanding of evaluating a idea and how to build it. If you want you can start early, maybe you make more mistakes and learn and then do again.